The application's type is represented by a symbol here. The name of the application is shown here. 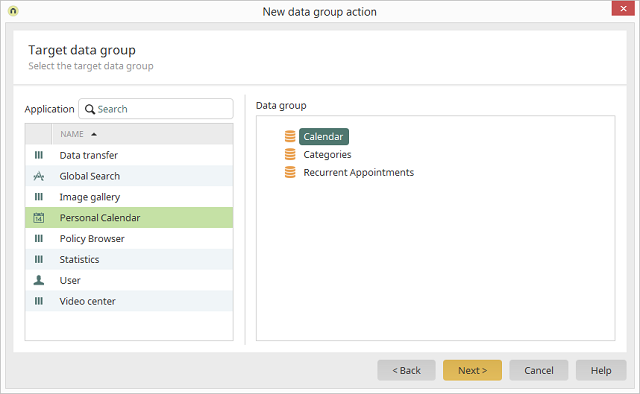 Once you have selected a target application, its data groups will be shown here. Select the data group of your choice.